If you like your digital photography adventures to be exciting and action-packed, then you’ll enjoy shooting parkour. This is a gymnastics-like activity where the participants (known as traceurs) scramble, tumble, run and leap from roof to roof to walls to ladders to various structures within the urban landscape. As you might imagine, to capture all this incredible motion in pictures requires a bit of a learning curve, even if you’ve previously shot traditional sports. This two-part PhotographyTalk.com article offers 10 techniques to prepare you for this amazing photographic experience. Read Part 1for the first 4 techniques. 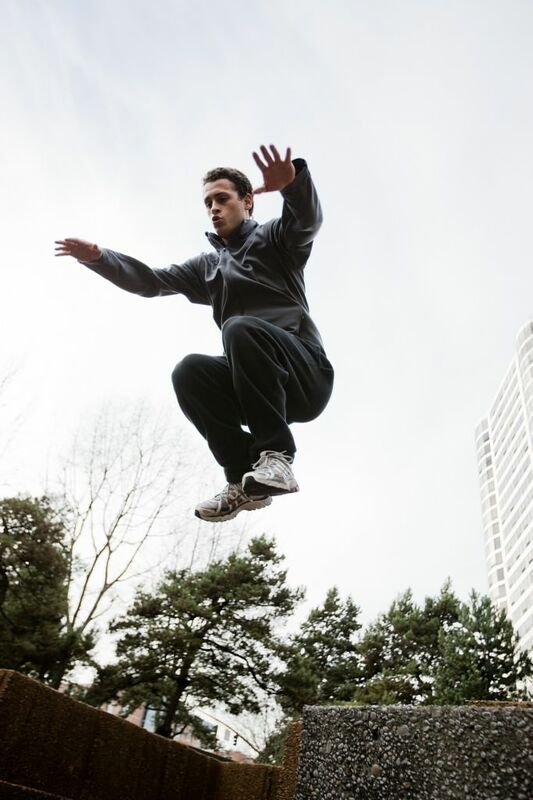 When you’re ready to photograph parkour, you’ll discover that shutter priority mode will help you freeze the action. The rest of the exposure formula is auto ISO and a shutter speed of approximately 1/1000th of a second. As the light changes, becoming brighter or dimmer, adjust the shutter speed, accordingly, although 1/250th is a minimum speed, unless you want to blur a traceur’s motion on purpose. Because parkour is so quick and you must be relatively close to the traceurs to produce the best images, auto-focus is not much help, especially using the central AF point to compose your photos. Most of your framing will be with a wide focal length, which means you’ll want to pre-focus or shoot at a bit smaller aperture. Like most sports photography, you must understand the sport and observe it for a sufficient amount of time to know the best part of the action to shoot. That’s why a preliminary step to shooting parkour is to attend a competition or contact a local group and just watch what they do, without taking any pictures. As you gain knowledge about how they move, you’ll start to recognize the best moments to capture. Then, when you return with your camera, you’ll be able to take great pictures without any waste of time or motion. The essence of parkour is the relationship between the moving traceur and the environment he or she has chosen for the routine. If you spend time observing parkour before trying to photograph it (#6 above), then you should develop the mindset to see that relationship, as a whole, and reveal it in your images. Often, it’s best to frame the environment from an interesting and compelling angle, as you would architectural photography, and then allow the traceur to move into your framing. This is another reason you must understand the activity before you can photograph it successfully. The very nature of parkour makes shooting RAW images absolutely necessary. 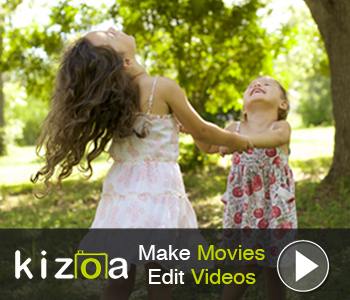 You’ll be happy you recorded the maximum data of each image when you are editing your photos. Because parkour is shot outdoors, there will be considerable contrast in many of your photos, which you’ll be able to manipulate much easier as RAW images. Become an Unofficial Member of the Team. Contacting a local parkour group and asking permission to shoot its routines could provide you with an excellent introduction to the activity. If you can demonstrate an ability to capture the movements in exciting photos, then the traceurs may think of you as their unofficial photographer. With this relationship, you may be able to photograph a traceur developing a new routine or ask him or her to repeat movements, so you can shoot them from different angles and with various techniques.